Hi, I am Mark Sanderson. 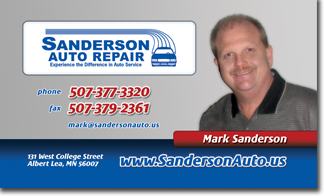 I started Sanderson Auto Repair in 1985 and have owned & operated it ever since. I began my career in the automotive service and repair industry as an auto technician in 1978. Like many of our technicians, I have also earned my A.S.E Master Certification in 1982. In addition to my daily administrative responsibilities I still like to get under the hood and get my hands dirty. In my spare time I enjoy old cars, hunting, fishing, and camping with my wife and two daughters. Your experience is critical to us, so we’ll also follow up after any work with a phone call to make sure everything meets or exceeds your expectations. We believe that Sanderson Auto’s staff performs exceptional work, and we continuously check our own performance by grading our technicians and service advisors according to your feedback. This is your chance to tell us if everyone in our organization is representing Sanderson Auto properly and doing exceptional work. Our team members are graded on customer responses to ensure that we are worthy of your business. Sanderson Auto is an eco-friendly business. 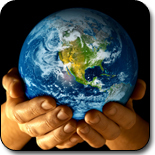 We continually employ into our daily practices environmentally-conscious policies and procedures to help reduce our impact on the environment. We will continue to act as a “green” business by using the current recycling methods available and by educating ourselves as well as our customers about how we can all positively contribute to our environment and our communities. This responsibility falls on all of us and should not be taken lightly. 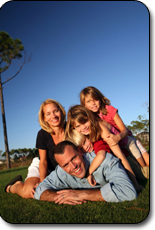 We’ll send you a mailer customized for you, based on your specific driving habits AND the type of oil you use. We believe you should change your oil every 3,000 miles if you use regular oil and every 8,000 miles if you use full synthetic. Many manufacturers are extending the recommended oil change intervals and we know this is not the best way to maintain your vehicle. Every vehicle has a schedule that shovery vehiculd be followed, and we’ll send you a reminder for each major interval. 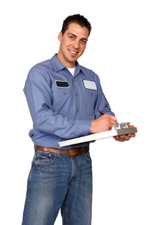 Just call us and we’ll discuss services that MAY need to be performed. Together, we’ll determine what should be done and set an appointment. When you service your vehicle at Sanderson Auto Repair, you may opt not to do everything that we recommend. That’s ok: Our system saves those recommendations so we can remind you to take care of them at a time convenient for you.